As a parent of small children, I am in the fire of trying to properly filter the world for my children. There are so many negative messages, many of which we can't completely get away from. So the latest review from the Homeschool Review Crew certainly speaks to a concern I have as a parent. 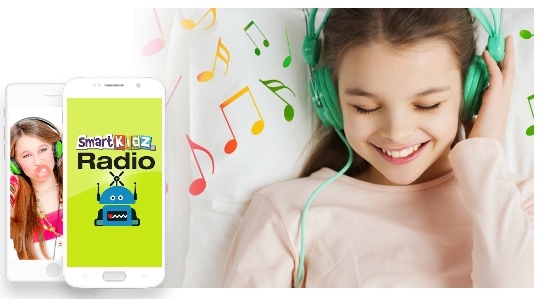 Smart Kidz Radio from Smart Kidz Media is an educational radio station just for kids! 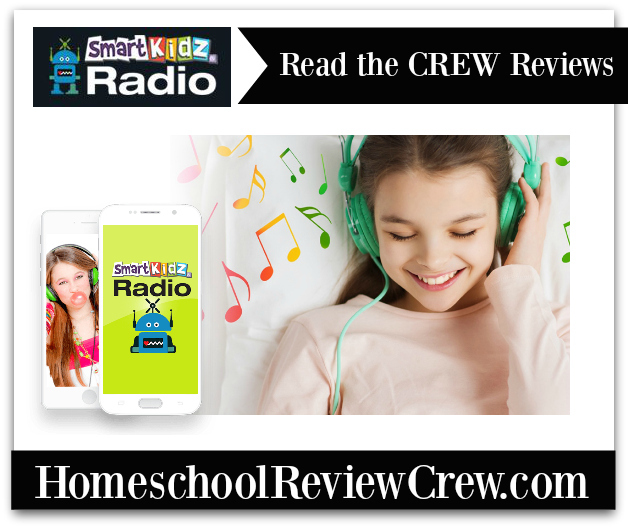 With a free account set up, you can access their streaming content through a browser or the Smart Kidz Radio App (soon to be available for download). The content that we heard included new songs we had never heard before that focused on constructive and educational topics like managing emotions, getting along with others, character traits, hygiene, healthy habits and all kinds of positive messages for kids. After most songs a DJ/announcer would advertise the Smart Kidz Bookstore or announce the next song. In the Podcast area there are several fairy tales and other classic stories that my kids really enjoyed. From what I understand soon they will be offering On Demand content like this (only new and regularly updated) available with a paid subscription. I really liked the concept of having safe, educational and productive media for my kids. There just isn't enough of that in our society right now so I fully support ideas like this! When we listened (on our laptop in the living area), my kids were curious about what it was and enjoyed having something new to listen to for a while. Since it was ALL new, it became background music for the most part after the third or fourth song. That being said, it was background music that I didn't have to worry about negative messages seeping in unnoticed. I think if a few familiar songs - even if they were redone in a unique style - would keep my kids a interested a little longer. The topics and messages of the music were very positive, but like all media parents have to pay attention to make sure what their children are consuming aligns with the values of their family. I never heard anything I disagreed with, but there were a few ideas that I felt would need more discussion to make sure it wasn't taken the wrong way. Self-image is an important topic, but depending on the needs of the child, it might cause someone to focus too much on self, for example. I will be very interested in the On Demand section to see just how much more content - especially stories and audio book type of material - becomes available. My kids LOVE to listen to stories. If you think this might be something your family is interested in, check out Smart Kidz Media on Social Media and read what other reviewers had to say!